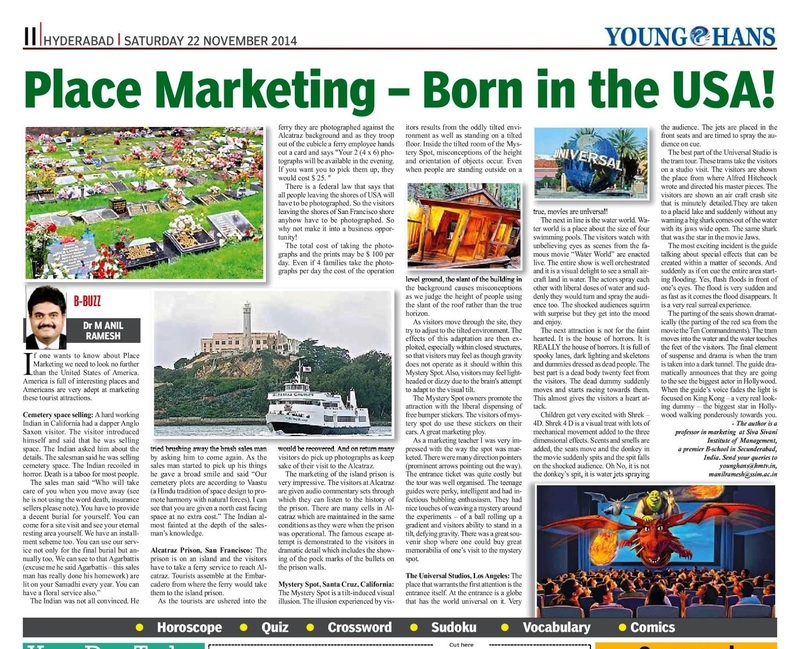 Dr.Anil - Marketing Musings: 24th article published in HANS INDIA (22 November 2014) It is titled "Place Marketing - born in the USA"
24th article published in HANS INDIA (22 November 2014) It is titled "Place Marketing - born in the USA"
If one wants to know about Place Marketing we need to look no further than the United States of America. America is full of interesting places and Americans are very adept at marketing these tourist attractions. Cemetery space selling: A hard working Indian in California had a dapper Anglo Saxon visitor. The visitor introduced himself and said that he was selling space. The Indian asked him about the details. The salesman said he was selling cemetery space. The Indian recoiled in horror. Death is a taboo for most people. The Indian was not all convinced. He tried brushing away the brash sales man by asking him to come again. 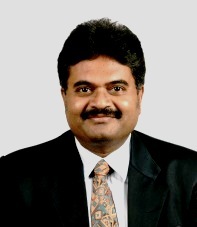 As the sales man started to pick up his things he gave a broad smile and said “Our cemetery plots are according to Vaastu (a Hindu tradition of space design to promote harmony with natural forces). I can see that you are given a north east facing space at no extra cost.” The Indian almost fainted at the depth of the salesman’s knowledge. Alcatraz Prison, San Francisco: The prison is on an island and the visitors have to take a ferry service to reach Alcatraz. Tourists assemble at the Embarcadero from where the ferry would take them to the island prison. As the tourists are ushered into the ferry they are photographed against the Alcatraz background and as they troop out of the cubicle a ferry employee hands out a card and says "Your 2 (4 x 6) photographs will be available in the evening. If you want you to pick them up, they would cost $ 25. " There is a federal law that says that all people leaving the shores of USA will have to be photographed. So the visitors leaving the shores of San Francisco shore anyhow have to be photographed. 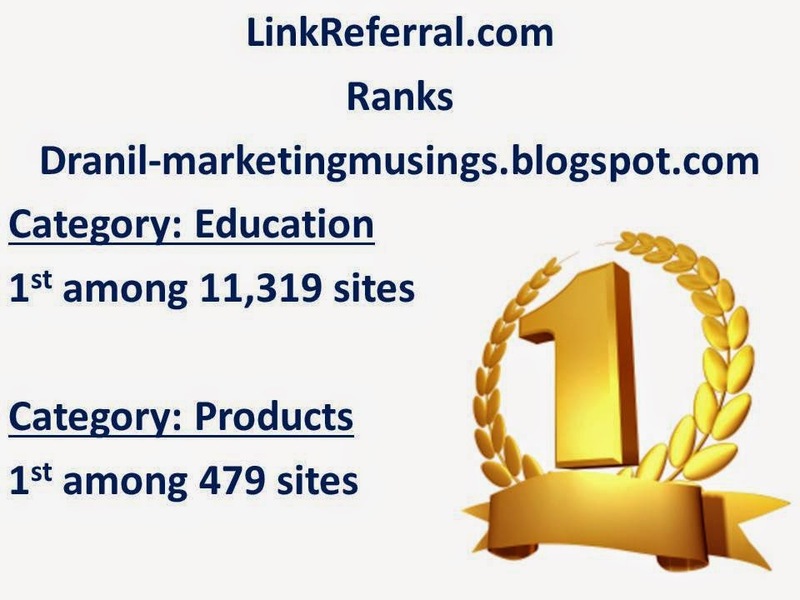 So why not make it into a business opportunity! The total cost of taking the photographs and the prints may be $ 100 per day. Even if 4 families take the photographs per day the cost of the operation would be recovered. And on return many visitors do pick up photographs as keep sake of their visit to the Alcatraz. The marketing of the island prison is very impressive. The visitors at Alcatraz are given audio commentary sets through which they can listen to the history of the prison. There are many cells in Alcatraz which are maintained in the same conditions as they were when the prison was operational. The famous escape attempt is demonstrated to the visitors in dramatic detail which includes the showing of the pock marks of the bullets on the prison walls. Mystery Spot, Santa Cruz, California: The Mystery Spot is a tilt-induced visual illusion. The illusion experienced by visitors results from the oddly tilted environment as well as standing on a tilted floor. Inside the tilted room of the Mystery Spot, misconceptions of the height and orientation of objects occur. Even when people are standing outside on a level ground, the slant of the building in the background causes misconceptions as we judge the height of people using the slant of the roof rather than the true horizon. As visitors move through the site, they try to adjust to the tilted environment. The effects of this adaptation are then exploited, especially within closed structures, so that visitors may feel as though gravity does not operate as it should within this Mystery Spot. Also, visitors may feel light-headed or dizzy due to the brain's attempt to adapt to the visual tilt. The Mystery Spot owners promote the attraction with the liberal dispensing of free bumper stickers. The visitors of mystery spot do use these stickers on their cars. A great marketing ploy. As a marketing teacher I was very impressed with the way the spot was marketed. There were many direction pointers (prominent arrows pointing out the way). The entrance ticket was quite costly but the tour was well organised. The teenage guides were perky, intelligent and had infectious bubbling enthusiasm. They had nice touches of weaving a mystery around the experiments – of a ball rolling up a gradient and visitors ability to stand in a tilt, defying gravity. There was a great souvenir shop where one could buy great memorabilia of one’s visit to the mystery spot. The Universal Studios, Los Angeles: The place that warrants the first attention is the entrance itself. At the entrance is a globe that has the world universal on it. Very true, movies are universal! The next in line is the water world. Water world is a place about the size of four swimming pools. The visitors watch with unbelieving eyes as scenes from the famous movie “Water World” are enacted live. The entire show is well orchestrated and it is a visual delight to see a small aircraft land in water. The actors spray each other with liberal doses of water and suddenly they would turn and spray the audience too. The shocked audiences squirm with surprise but they get into the mood and enjoy. The next attraction is not for the faint hearted. It is the house of horrors. It is REALLY the house of horrors. It is full of spooky lanes, dark lighting and skeletons and dummies dressed as dead people. The best part is a dead body twenty feet from the visitors. The dead dummy suddenly moves and starts racing towards them. This almost gives the visitors a heart attack. Children get very excited with Shrek – 4D. Shrek 4 D is a visual treat with lots of mechanical movement added to the three dimensional effects. Scents and smells are added, the seats move and the donkey in the movie suddenly spits and the spit falls on the shocked audience. Oh No, it is not the donkey’s spit, it is water jets spraying the audience. The jets are placed in the front seats and are timed to spray the audience on cue. The best part of the Universal Studio is the tram tour. These trams take the visitors on a studio visit. The visitors are shown the place from where Alfred Hitchcock wrote and directed his master pieces. The visitors are shown an air craft crash site that is minutely detailed.They are taken to a placid lake and suddenly without any warning a big shark comes out of the water with its jaws wide open. The same shark that was the star in the movie Jaws. The most exciting incident is the guide talking about special effects that can be created within a matter of seconds. And suddenly as if on cue the entire area starting flooding. Yes, flash floods in front of one’s eyes. The flood is very sudden and as fast as it comes the flood disappears. It is a very real surreal experience. The parting of the sea is shown dramatically (the parting of the red sea from the movie the Ten Commandments). The tram moves into the water and the water touches the feet of the visitors. The final element of suspense and drama is when the tram is taken into a dark tunnel. The guide dramatically announces that they are going to the see the biggest actor in Hollywood. When the guide’s voice fades the light is focused on King Kong – a very real looking dummy – the biggest star in Hollywood walking ponderously towards you. Cool article Sir! 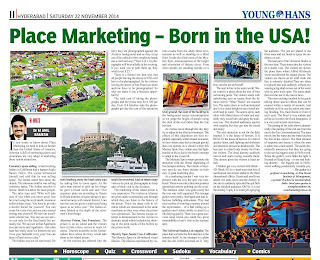 Nice collation of instances relating to place Marketing, simplified.